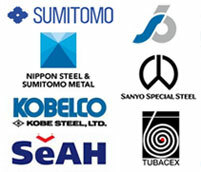 Ashtapad Overseas maintains one of the world’s largest Hastelloy Welded Tube -pipe & tubes inventories include stainless steels, duplex, super duplex, nickel & mixed alloys, carbon steels and low alloys for energy and industrial applications. Ashtapad offers a wide range of Hastelloy Welded Tube, 316 Seamless Tubing, 316 Seamless Pipe, ss 316l Seamless Pipe, 304 Seamless Tube, 304 Seamless Stainless Steel Tubing & Hydraulic Tube etc. We can meet most ASME, ASTM, AMS, and military specifications, and can cross-reference to most international standards, including full DIN 3.1b, full 3.1/3.2 Certifcation and NACE requirements. Looking for a Hastelloy Welded Tube supplier that offers quality products with fast turn around times at competitive prices? If so, you’ve come to the right place. Our products, including Nickel 600 and Alloys 625, 718, welded stainless steel and X750 are stored and pulled directly from warehouses. We stock and sell Hastelloy Welded Tube, this alloy is also available in form of Flat Bar, Forging Stock, Hexagon, Plate, Round Bar, Sheet, Strip and Wire. All the alloys are high temperature/corrosion resistant alloys that are often used in the aerospace industry. We have more than 1200 tons of Hastelloy Welded Tube in ready stock for immediate dispatch in our stockyard. Also we provide value addition to the client in the form of cut to length size, slitting, shaping, and fabrication, superior finishing, marking, beveled end, specialized cap protection. Selecting Hastelloy Welded Tube, welded-and-drawn, or seamless tubing for your application is a complex process. Do you know that longitudinal welds present an opportunity for defect, which cannot be tolerated in critical applications. To produce a welded tube, strip is roll-formed and joined with a longitudinal seam. The weld area is dimensionally inconsistent with the strip and causes areas of stress concentration, particularly for tubes that are subjected to a high internal pressure. Furthermore, these crevices, or areas of stress concentration that exist on both sides of the weld seam create opportunities for corrosion as residue becomes trapped. These crevices can cause cracks, which can propagate and cause the welded tube to rupture. Methods for manufacturing welded tubing are countless and allow for great variance in the final product. Many manufacturers have the option to use TIG, laser, or high-frequency welding. Some manufacturers then roll-reduce, bead-hammer, sink through a die, or draw the as-welded tubing over a mandrel or a plug in an attempt to minimize the dimensional variation and integrate the weld seam. 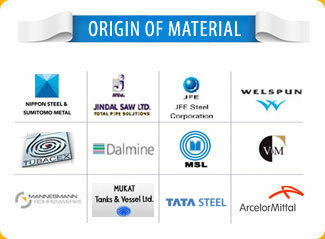 These products are known by many names like welded-and-drawn, seam-free and seam-integrated. Initially less expensive, but becomes cost-intensive after testing, defect opportunity and replacement, as a result of failure, are considered. Hastelloy C 276 is an alloy essentially composed from nickel, chromium and molybdenum that is widely treated as a corrosion resistant alloy. The alloy does not demand solution heat treatment post welding and has enormously enhanced fabricability. The alloy defy the development of grain boundary in the welded zone, hence makes it convenient for most chemical process applications in the as-weld condition. The alloy has exquisite resistance to pitting, to stress corrosion cracking , and corrosion for both oxidizing and reducing elements. In 2010, an oil and gas production industry in Bahrain – Middle East, he had requirement of Alloy 20 bending Pipe. His import department imported it from a reputed company in China. However the Chinese failed in delivery as usual. 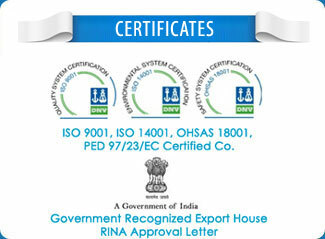 We are the only company that had in stock the full quantity in India. The entire lot was eventually purchased from us. Recently we asked him about the developments , and he spoke about none, but the high quality if the pipes supply. 3 years after, our customer remembers for the quality we supply. 30 years hence, he will remember us for the same reason. QUALITY! There is no substitute. 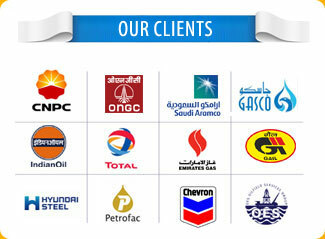 We hope you can turn into our client, and in future we can share your experience with our visitors. We are exporting Hastelloy Welded Tube to more than 40 countries like UAE, EGYPT, TURKEY, Singapore, Malaysia, Iran, Iraq, Saudi Arabia, Bahrain, Qatar, Yemen, Kuwait, Argentina, Palestin, Algeria, Italy, Tunisia, Oman, Mauritania, USA, Bangladesh, Lebanon, Canada, Vietnam, India, Sudan, Syria, Morocco, Libya, Jordon, and many more..
We also have our sales representatives to understand the requirements of our clients, we maintain ready stock of Hastelloy Welded Tube in cities like Abu Dhabi, Riyadh, Manama, Muscat, Doha, Dubai, Damascus, Khartoum, Beirut, Jeddah, Aleppo, Alexandria, Algiers, Amman, Mosul, Cairo, Baghdad, Dammam, Casablanca, Basra, Mecca, Tripoli, Rabat, Sana’a, Arbil, Hilla, Port Said, Marrakech, Medina, Al Hudaydah, Omdurman, Damietta, Homs, Kafr Dawar, Benghazi, Fez, Bahri, Nouakchott, Sulaymaniyah, Safi, Zarqa, Oran, Kirkuk, Ismailia, Tunis, Agadir, Tangier, Sharjah, Shibin El Kom, Misratah, Matrah, Aden, Najaf, Karbala, Latakia, Sousse, Meknes, Gaza, Fallujah, Aswan, Kassala, Al-Ubayyid, Sohag, Kuala Lumpur, Penang, Kuching & many more.. Tags: Hastelloy Welded Tube, best quality Hastelloy Welded Tube, wide variety of Hastelloy Welded Tube, Hastelloy Welded Tube India, Hastelloy Welded Tube distributor Mumbai, Hastelloy Welded Tube traders, prime quality Hastelloy Welded Tube, Hastelloy Welded Tube exporter, Source for Hastelloy Welded Tube, specialize in Hastelloy Welded Tube, Hastelloy Welded Tube with Test Certificate, Hastelloy Welded Tube manufacturers, Hastelloy Welded Tube suppliers, Hastelloy Welded Tube importer, Hastelloy Welded Tube exporter, Hastelloy Welded Tube dealers, Hastelloy Welded Tube mill, Hastelloy Welded Tube price, Hastelloy Welded Tube ready stock, used Hastelloy Welded Tube, Hastelloy Welded Tube manufacturing process, Brand Steel Pipes stockist, send your Hastelloy Welded Tube requirement to our Mumbai, India office by email ashtapad@vsnl.net, ISO 9001, ISO 14001, OHSAS 18001 certified & Government Recognized Export House, Click here to send us your requirements of Hastelloy Welded Tube. 46+ tons in ready stock, order small (1 piece) or large quantity.